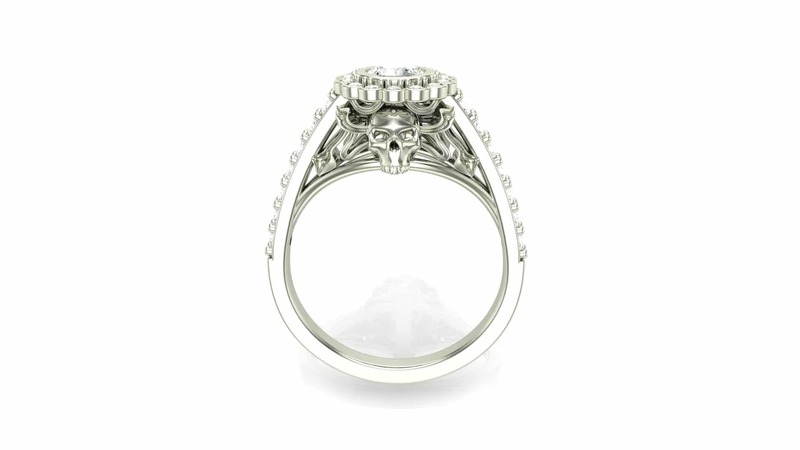 This art deco skull ring has skulls on both sides of the ring with wisps of smoke blowing around them. 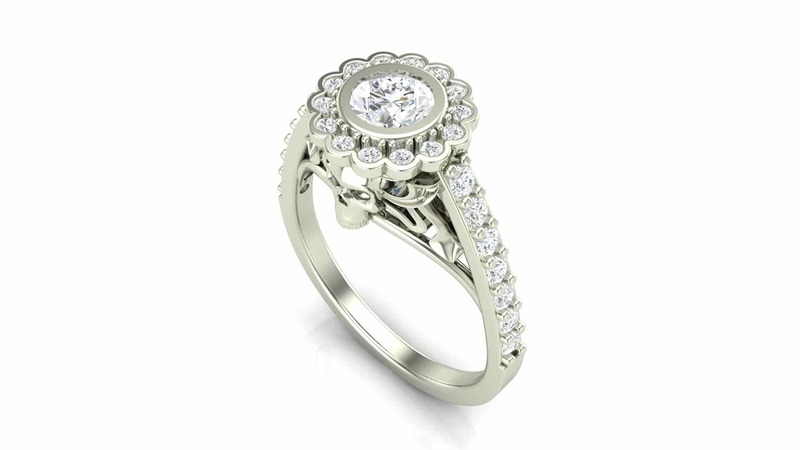 This one holds a 5mm round stone and has 1.3 mm accents in the halo and 1.5mm stones down the sides of the ring. Larger stones can be used. ACCENTS: 1/3-3/4 TCW, depending on the size of the center stone. Due to the size (1.3mm-1.8mm), these can only be Diamonds, CZ, Emerald, Ruby, and Sapphire. 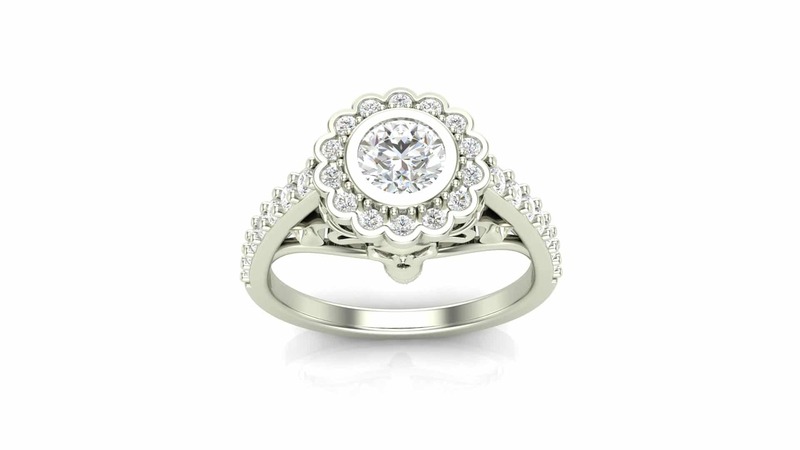 The listed price is for an art deco skull ring in Gold with I1, HI color diamonds, but does not include the center stone. It can be made in Silver with CZ for less though.